Me as a child on my own Nana’s porch. Welcome to the “Inside NanaBread’s Head” blog. It’s a lot like my junk drawers – filled with tidbits, trash and treasures. When you open it, you never know what might fall out. I hope you’ll join me as I share my life with humor, common sense, and a pinch of sarcasm. I was born and raised in the Bermuda Triangle of the South (Texas/Oklahoma/Arkansas), which means I am usually polite, thoughtful, friendly and very family oriented. I’ve been married to The Complete Package for 34+ years (got married when I was a baby). We have one daughter who also lives in Austin with our sweet grandkids – Jonah Bear & Lilly Bug. I have four sisters, so I come from a large family of women with some menfolk married in and lots of children to boot. We’re a large, diverse group known for being loud, funny and fiercely loyal. Most of all, we love each other warts and all, and when we get together, hilarity always ensues. Come to my world! Thank you for visiting my blog. I really mean it. I live for comments, so if you like something, please leave a comment and tell me what you think. If you’d like to contact me, I can be reached by e-mail at heynanabread at yahoo(dot)com. So what you’re saying is, you’re in your early 30s, right? =) Heh heh. I love your humor. I’m a foodie so definitely going to try a few recipes. Glad you’re enjoying it. If you have any questions along the way, just drop me a comment. I love feedback! Just found your blog through my niece. The owl blanket and bib you sent her is precious. We can’t hardly wait for Drew to get here (although she will always be my Butterbean) and look forward to seeing more of your blog. I love Butterbean as a nickname! We called Jonah Bear “Peanut” when My Baby was pregnant with him. Thank you for popping over to visit the blog. Your niece, Alex, is a special person and I’ve enjoyed getting to know her through her blog… as well as Nigel, Nash & Natalie. I can’t wait for Drew to join the party. I’m sure the family is beyond excited. What a great “about” you wrote up. Is that a photo of you as a baby? Super cute! Look forward to checking out more of your writing. Thank you so much! Yes, that is a photo of me as a tyke. 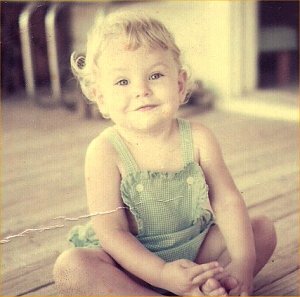 I was about 16 months old, and we were visiting my grandmother’s farm outside of Denison, Texas. My older sister and I were eating berries on the screened porch. It’s one of my favorite old photos of me as a wee one. That’s why I selected it for my blog. It reminds me to be fun and carefree. And a little mischievious. Cristina, me temo que no hablo mucho español pero me encanta Google Translate, que ayuda a mi comunicación cuando sea necesario. Pido disculpas si la traducción está apagado en modo alguno. Gracias por leer mi blog acerca de las madres. He visitado su blog, y amaba la fotografía de usted y su pequeña hija. Muy lindo! Espero leer más de su blog y mirando a sus recetas, también. Feliz Día de la Madre. I too come from a big family. We are 7 kids – 5 girls and 2 boys. Hi NanaBread, my english is too bad! I appreciate your visit. I just have one correction…, my name is not Kristina…. my name is KATRINA. Ooops! Sorry, Katrina! I sincerely apologize. Welcome to the blogging world, mommygems! I’m flattered that you decided to drop in and visit mine. Hope you find something you enjoy, or at the very least find a few things to inspire you as you begin your blogging adventure. 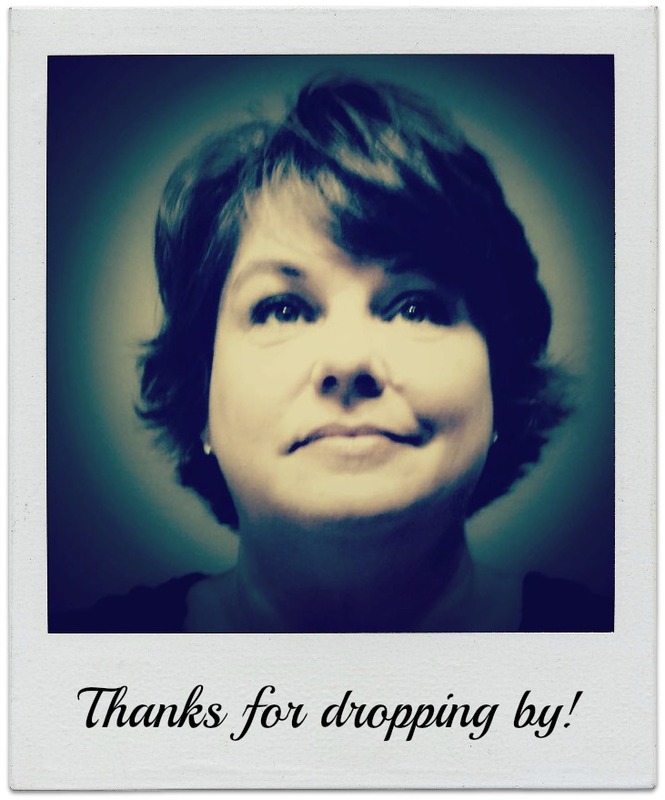 Stop by any time, and best wishes on your new blog. I’m having fun clicking around your blog and following random links. Nice work! I also love comments so couldn’t leave without saying hi. Is the moniker “The Complete Package” part of my sarcasm? Hmm… I’m going to have to plead the Fifth on that one, Ameena. Since he GAVE HIMSELF THAT NICKNAME, I’ll have to let him respond to that one. That said, he really is one of the good guys. Funny just notice where your from no wonder I was drawn in. I was born in McRae, AR. Raised in Arizona, but did a lot of visit back there as a child until I was 15. So I have fun memories of the good old country life. Hi NanaBread! Connecting with you via Eileen at Joy of Caking – we’ll be “working” together on her fall dinner! Looking forward to following along with your blog. I really like your picture of the Charles Bridge in Prague. I would love to use it on the soon-to-be revamped website of my company–Stone Bridge. What are your terms for granting permission to use your photograph? Hi! Just discovered your blog, and it’s wonderful. Just one question: how did you get the nana bread nickname? It’s pretty simple, actually. When our first grandchild (Jonah Bear, now 8) was born, our daughter started referring to me as Nana since that is what she called her own grandmothers. As Jonah grew into a toddler, he fell in love with bananas and banana nut bread. Because I made it for him often, he called it NanaBread and the nickname stuck. Since then, I’ve blogged under the name NanaBread as a fun tribute to our sweet grandson. Even now, with two beautiful grandkids (his sister Lilly Bug is now 5), a loaf of warm NanaBread is a tradition in our home when they visit. Love the bit on menopause. I googled “sleepless, bitchy, hormonal” because I’ve been awake since 2am (it’s 4:16 and Law & Oder is on – insomniac’s bedtime story) and have been reflecting on my crab attack carb fest from earlier today, actually yesterday, and found your blog. Thank you for the sanity check…I’ll be here praying…for both of us. Thanks for the prayers, the follow and the solidarity! I saw your article on Moonshine. I love the gift tag you used. Where can I get that or how did you make it? Loved the packaging!! Hi NanaBread – I just found your RoadKill Rice Bags and I was wondering if you sell them and if I could use a couple of them in a short film I am making? Jeanne, I just found you and your blog. Can’t wait to read every post! Hi, Brenda! Thanks for finding me! Looking forward to digging into your blog too., fellow Austinite! Check your e-mail. I sent you a message. Thanks! I love your photo of the Ogden Nature Center. I am working on a book project and would be interested to use your photo in my book. Please contact me if you are interested.